← British Knew Joe McCann Had Been Murdered At The Time…. If only a fraction of what former CIA officer John Nixon writes about his former employers in this extraordinary study of America’s premier spy agency is correct, then Donald Trump cannot be pilloried for refusing to take daily presidential briefings from the CIA. You or I, armed with that morning’s Irish Times, could do as well. Nixon’s musings on the CIA should also give pause to those rushing to judgement about Russia’s alleged involvement in a plot to undermine Hillary Clinton’s presidential election campaign. Read the paragraph below and ask yourself this question: if the prime intel agency in America didn’t know who was really running Iraq in 2001 when the dogs of war were unleashed by Bush and Cheney, what the hell does it know about Vladimir Putin? Nixon was given the task of interrogating Saddam Hussein after the Iraqi dictator was captured by US troops in a spider hole near his home town of Tikrit and discovered that the man depicted by the Bush White House as a monster bent on the destruction of America had all but retired from government and spent most of his time writing a novel. Nixon reported this – and much more – back to Langley but no-one was interested. The CIA was too busy brown-nosing the White House resident neocons, providing them with the ammunition for their eternal war against a bunch of jihadists who in no small measure they had helped create (perhaps the real reason for/consequence of torture?). A review of John Nixon’s disturbing and devastating account of his life in the CIA, which appeared in today’s New York Times, can read in full below. It was written by James Risen, the paper’s respected correspondent on all things dark and clandestine. It is a must read, if only because of the realisation that the same agency will be at the beck and call of Donald Trump. God help us all. Most C.I.A. memoirs are terrible — defensive, jingoistic and worst of all, tedious. Others are doomed by the C.I.A.’s heavy-handed and mandatory censorship. 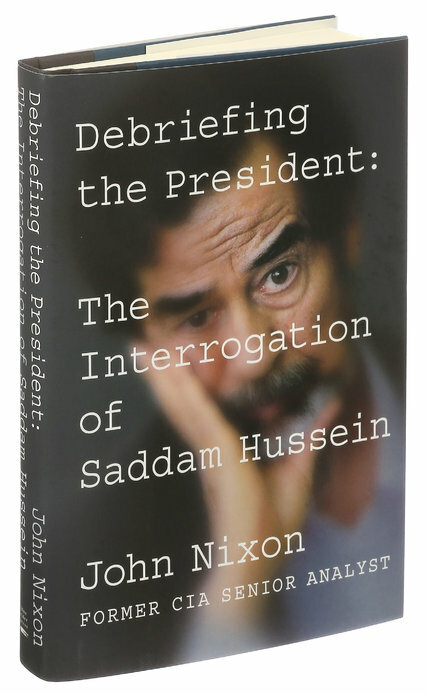 There are exceptions, and that list includes the refreshingly candid “Debriefing the President: The Interrogation of Saddam Hussein” by John Nixon. More broadly, Mr. Nixon offers a stinging indictment of the C.I.A. and what he sees as the agency’s dysfunctional process for providing intelligence to the president and other policy makers. The agency, he writes, is so eager to please the president — any president — that it will almost always give him the answers he wants to hear. Mr. Nixon’s book comes at an extraordinary moment, when President-elect Donald J. Trump is already at war with the C.I.A. 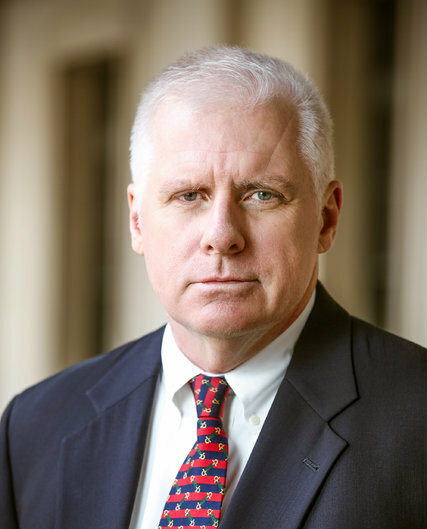 He has attacked the C.I.A.’s assessment that Russia intervened in the 2016 presidential election to help his candidacy, and he has cited the agency’s failures on prewar intelligence on Iraq as an example of how the C.I.A. is often wrong. “Debriefing the President” will add fuel to the fire of the Trump-led criticism. It will also send a chilling warning to anyone counting on the C.I.A. to stand up to Mr. Trump once he is in office. Mr. Nixon had been preparing for his interrogation of Hussein for years before he ever met him. Mr. Nixon, 55, did graduate work at New York University and Georgetown University, where he wrote about Hussein in his master’s thesis. He joined the C.I.A. in 1998, and was immediately assigned to be a “leadership analyst” on Iraq, which meant that his job was the full-time study of Hussein. Mr. Nixon was an analyst in Iraq when the United States military captured Hussein, and he was asked to identify him so the Americans could be certain they had the right man. Mr. Nixon confirmed Hussein’s identity by checking for a tribal tattoo on the back of his right hand and a scar from a 1959 bullet wound. Once he began debriefing Hussein, though, Mr. Nixon realized that much of what he thought he knew about him was wrong. His most astonishing discovery was that by the time of the United States-led invasion of Iraq in March 2003, Hussein had turned over the day-to-day running of the Iraqi government to his aides and was spending most of his time writing a novel. Hussein described himself to Mr. Nixon as both president of Iraq and a writer, and complained to Mr. Nixon that the United States military had taken away his writing materials, preventing him from finishing his book. Hussein was certainly a brutal dictator, but the man described by Mr. Nixon was not on a mission to blow up the world, as George W. Bush’s administration had claimed to justify the invasion. Hussein never understood the United States, and Mr. Nixon describes him as repeatedly mystified by American intentions in the Middle East. After the Sept. 11 attacks, Hussein fatally misread how America would react. He thought the attacks would bring the United States and Iraq closer together to jointly combat Islamic extremists. The findings from Mr. Nixon’s interrogations of Hussein that cast doubt on the Bush administration’s original justifications for the war, Mr. Nixon says, were ignored by senior officials at the C.I.A. and the White House. “The policy makers at the White House and the leadership on the seventh floor at the C.I.A. 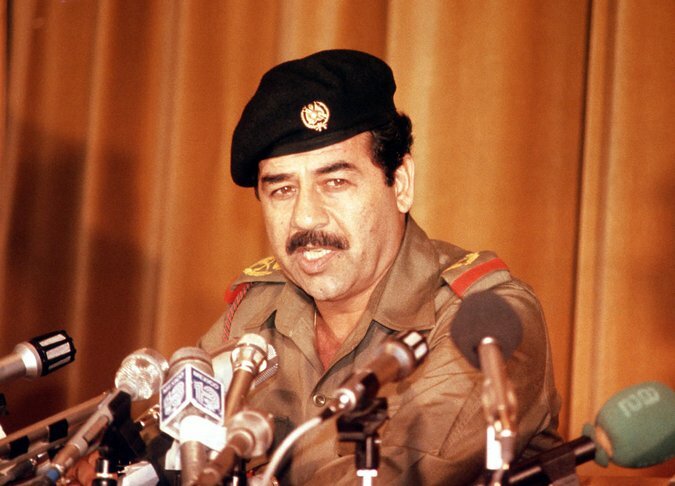 didn’t want to hear that many of the reasons for going after Saddam were based on false premises,” he writes. The C.I.A.’s brief memos have become like “crack cocaine for consumers of classified information,” Mr. Nixon says. It’s as if the C.I.A.’s analytical branch has been transformed from a college faculty into a cable news network. The trend toward quick-hitting but shallow intelligence reports — which other former C.I.A. analysts have also criticized in recent years, particularly since 9/11 — makes the agency much more susceptible to manipulation and politicization, and to repeating the kinds of mistakes it made when it inaccurately concluded that Hussein had weapons of mass destruction. Mr. Trump may soon test whether the C.I.A. has learned any lessons.